A patent is basically a right or a kind of license which is given to someone for a determined amount of time by the government which confers on the person the sole authority to exclude others from using, promoting, selling or modifying an invention in exchange of public disclosure of the details of an invention. An invention can be a solution to a technological problem, process or product and is an intellectual property. It insures the inventor and his invention from getting exploited without valid permission and also secures the investor’s exploitation rights preventing the product being invested on from changing or altering. The person holding this patent would get sole rights to the invention for a specified time which would assure him a market reserve. Anyone who has an original invention or product, a new manufacturing process or an improvisation in an already existing product can apply for patent protection. This patent is not defined by a law and is inclusive of all inventions which fulfill the industrial applicability, resourcefulness and originality clause. This kind of patent is law defined and comprises of all objects of practical utility which is subject to industrial applicability which results in functional enhancement of the utility of the product or its manufacturing. The patents filed will be thoroughly evaluated and examined for its resourcefulness, applicability and originality before granting rights to the applicant. The patent once granted, makes available the rights claimed by the applicant for a fixed period of time. The holder has the permission and exclusive rights to manipulate or explore the patented product or invention within the National Territory or within the valid patent limits. The patent holder can prevent unauthorized or illegal production or trade of the patented product or the process of production of the process. The extent of protection of the patented product depends on the claims submitted by the applicant. The holder is also insured against any potential damages that might occur during the exploration or commercialization of the product between the date of publication of the patent and the date of definitive granting. The Validity of an Invention patent is 20 years counted from the date of filing of patent application and the Utility Model Patent is applicable for 15years from the date of filing. The invention made by an employee(s) during the course of employment and under the influence of an employment contract which assigns inventive rights to the employer and if the hiring was specifically made to utilize the employee’s skills for the inventive purpose, will belong to the employer exclusively. In case of the invention being developed apart from the employment contract or when there is no clause which limits the invention to the employer the invention belongs solely to the employee. It is the same if the invention was done without any help physical or monetary from the employer. The invention belongs both to the employer and the employee in cases wherein it was developed by the intellectual and skill contribution of the employee with the material, means and installation support of the employer even in case of the no employment clause. Drawing, picture or a small model of the product to be patented. This is required to comprehend and prepare the specification of the patent application. Power of Attorney in case the product is a corporate entity. Assigning Document or papers mentioning the inventor in case of the product being a corporate entity. Official copy of the application of patent where it was filed originally issued by the PTO. Assigning document or papers mentioning the inventor in case of the product or invention being a corporate entity. Some patents are filed under the international law which provides a unified platform and filing procedure for patent applications across the globe. In case of patents filed under the International law treaty (PCT), a single application is filed in one language. A copy of the International application and a power of attorney is required to file PCT. 6- Copy of the priority document in case of urgent filings with a mention of the priority dates as and when directed by the Controller. 8- Power of Attorney in case of corporate filings or when filed by an agent. 10- The documents (with the exception of drawings) must be sent with large font size with widely spaced lines and clear and ineradicable ink on white paper. 11- Drawings to be documented on white background with a clear margin of 1.5cm width on a sheet/transparent film/cloth of size 33X20.5cms. 2. What are the 3 types of patents? Three most common types are utility patents, design patents, and plant patents. 3. What rights does a patent provide? 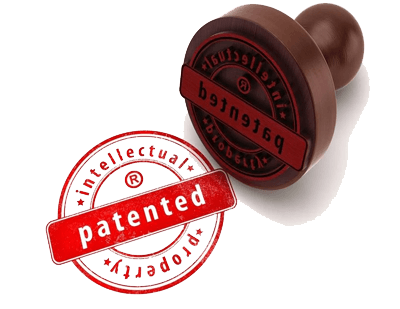 A patent owner has the right to decide who may – or may not – use the patented invention for the period in which the invention is protected. In other words, patent protection means that the invention cannot be commercially made, used, distributed, imported, or sold by others without the patent owner's consent. 4. What kinds of inventions can be protected? Patents may be granted for inventions in any field of technology, from an everyday kitchen utensil to a nanotechnology chip. An invention can be a product – such as a chemical compound, or a process, for example – or a process for producing a specific chemical compound. Many products in fact contain a number of inventions. For example, a laptop computer can involve hundreds of inventions, working together. 5. How long does patent protection last? 6. Is a patent valid in every country? 7. How are patent rights enforced? Patent rights are usually enforced in a court on the initiative of the right owner. In most systems a court of law has the authority to stop patent infringement. However the main responsibility for monitoring, identifying, and taking action against infringers of a patent lies with the patent owner. 8. What does it mean to “license a patent” and why is it done? Licensing a patent simply means that the patent owner grants permission to another individual/organization to make, use, sell etc. his/her patented invention. This takes place according to agreed terms and conditions (for example, defining the amount and type of payment to be made by the licensee to the licensor), for a defined purpose, in a defined territory, and for an agreed period of time. 9. Why are patents useful (to society, business, individuals etc. )?